The Scottish Government has been accused of “falling asleep at the wheel” instead of helping north-east companies struggling with business rates rises. More than one-third of all firms in Aberdeen, Aberdeenshire and Moray have appealed their revaluations, with some facing increases of as much as 250%. Business rates are also being reintroduced for sporting estates; a move which has been branded “an attack on rural Scotland” by the Scottish Conservatives. Despite these issues, the Scottish Government has been unable to provide information on how many of the affected north-east companies with whom it has engaged. 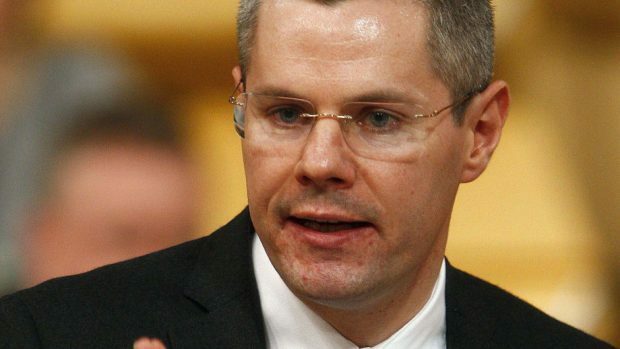 After being pressed for numbers, finance secretary Derek Mackay said the Scottish Government “did not hold” the information. Bill Bowman, North East Scottish Conservative MSP, said: “The SNP seem to be refusing to reveal details of the meetings they have held with businesses. “Worse yet, they may not have been keeping track of meetings on such an important issue. Thousands of letters will be sent to sporting estates this week, detailing new valuations of land, which will determine how much tax they will have to pay. While those valued at under £15,000 will be exempt, there are concerns the extra bill could push businesses over this threshold. The Scottish Government argues these rates are being re-introduced as part of its Land Reform Act in order to “ensure fairness for all taxpayers by ending an exemption”. But the Scottish Conservatives’ shadow rural affairs secretary and North East MSP, Peter Chapman, responded: “Many of these sporting estates are actually running at a loss, but they make a major contribution to their local community as well as the economy. “We cannot afford to see this sector suffer, or for well-paying jobs to be lost in rural areas. A Scottish Government spokesman replied: “The Scottish Government has committed to around £660million of business rates relief this year, including £7.5million specifically for Aberdeen. “A further real-terms cap of 12.5% on 2018-19 rates increases will be applied for Aberdeen and Aberdeenshire offices.